Roll off trailer manufacturer is having its third annual free Safety and Operations training meeting on September 14, 2017 at our Headquarters. Starting with Lunch, we will review all aspects of roll off safety, Preventive Maintenance. This is a hands on course and will include discussing Tarp Systems, cables, valves, cylinders and more. Call Tiffiny at 734-722-8100 to register. BENLEE is the leading manufacturer of Roll off Trailers and Roll off Truck replacement trailers-the Super Mini. BENLEE is also a Distributor, Dealer of Roll off truck parts for Galbreath, Galfab, American and more. We stock every roll off Cable, Cylinder, Hydraulic Valve, Tarp, Switch, Arms, Motor, you would every need, from Gresen, Roll Rite, Pioneer, and more. Roll off trailers for sale that we sell in California, Texas, Michigan, Canada, Mexico. Roll off trailers are for sale at BENLEE, the largest manufacturer of roll off trailers in the U.S. We are roll off trailer manufacturers that stock a full line of roll off trailers, including pup trailers, two box trailers and even low profile roll off trailers. We stock roll off trailers, that are in stock for same day pick up, or same day shipment to California, Dallas Texas, Chicago, Illinois, Indiana and more. Even Ohio, Florida, North Carolina and more. Of course we sell them with and without Tarp Systems! Our two box trailer, Double box are now #1 in the Industry! BENLEE also has a full line of roll off parts, including cables, sheaves, rollers, hydraulic valves, cylinders, seal kits, winches, including Tulsa, Gresen, Parker, Roll Rite and more. Open top trailers also known as Gondola trailers are for sale at BENLEE. We are one of N.A. 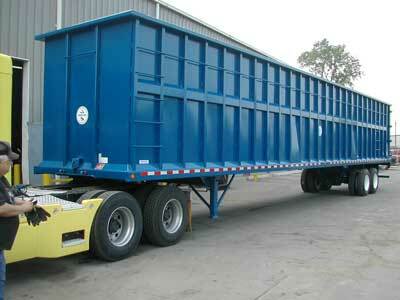 largest manufacturers of specialized trailers for the scrap and waste industry. At times we have used scrap trailers for sale, but not often. Our scrap semi trailers are most popular in the 53′ and 48′ versions with 8′ high walls, but of course we make an size you want. Call us at 734-722-8100 for a quote on an Gondola Trailer for you. Roll off Parts for trailers and trucks are for sale at BENLEE. They can be purchased by calling 734-722-8100, or going to www.benlee.com. We have every, Roller, Sheave, Cable, Valve, Cylinder, Plastic Fenders and more. We have parts for BENLEE, Galbreath, Dragon and others. Roll Rite Tarp Systems, Pioneer and more! Gresen, Parker too! We ship almost all items same day! Call us!